My name is Jon, and I am the brass instructor at Music & Arts. My primary instrument is trumpet. I have completed music education, studio music, jazz, composition, and arranging programs from various universities throughout the US including University of Miami, Berklee College of Music, and Winthrop University. I studied privately from the renowned jazz educator, Jeremy Coker, at the University of Tennessee, Knoxville. I have performed with Herb Ellis, Marian McPartland, Donald Byrd, Emily Remler, Woody Herman Orchestra, Tommy Dorsey Orchestra, and many others. 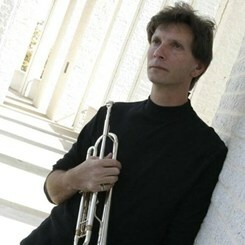 I have been a private trumpet teacher for over 30 years. I specialize in jazz improvisation; although, I taught Middle School band for five years. I like to find out what students are interested in and steer them in that direction while exposing them to all the possibilities available to them. I teach the fundamentals of playing brass instruments while keeping it fun and interesting. Request Lessons with Jon today!